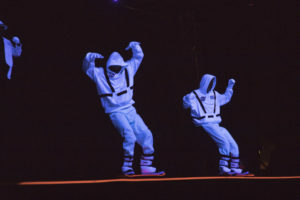 Fighting Gravity performances are included in Holidays in Space 2017. 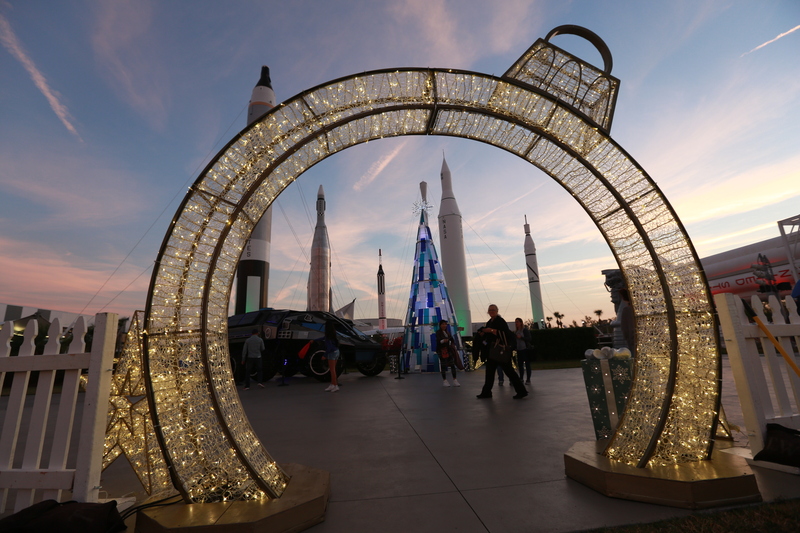 Although NASA’s Kennedy Space Center in Florida is famous for spectacular rocket-launch light shows, guests visiting the Kennedy Space Center Visitor Complex on Wednesday night, Dec. 20, were treated to an entirely different optical experience. The complex’s Holidays in Space 2017 kicked off with a dazzling performance by the dance group Fighting Gravity, which uses optical illusions, black light and the interplay of light and dark in its gravity-defying choreography. The group, which took home third place on NBC’s “America’s Got Talent,” is bringing its unique style to the spaceport with nightly performances in the towering Rocket Garden. Visitors also were treated to some rockets’ red glare in the form of a fireworks finale.